The all-new Porsche Panamera was unveiled last evening in Berlin. It now gets new, more likeable styling, a better interior, and new engines. On the design part, the new Panamera gets new head- and tail-lamps, a 911-like LED cluster and a light strip between the rear units, new bumpers both at front and rear, and updated dimensions: longer, wider, and taller. The rear roofline is lower than before, and the wheelbase is longer, too. Engine options include a V6 petrol (producing 440 PS), a V8 petrol (producing 550 PS), and a V8 diesel (producing 422 PS and a massive 850 Nm of torque). All of these twin-turbo units, and come with a new eight-speed PDK automatic gearbox. There’s also rear-axle steering which promises to make the car more manoeuvrable at low speeds and aids stability in high speed corners. While more versions will be added to the line-up later, the car will initially be available with four-wheel drive. 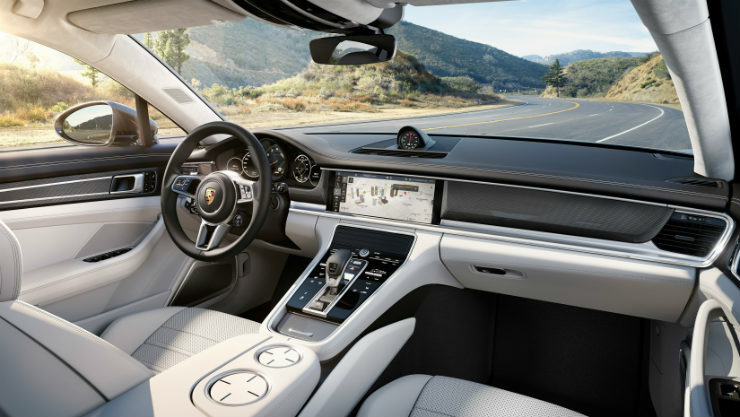 The new dashboard gets a large 12.3-inch display at the center, while the instrument cluster retains the analogue tachometer flanked by two 7-inch screens. The Panamera goes on sale in certain markets later this year.